Are you looking to take your education and career prospects to an international level? ITMO University offers several International Master’s programs delivered fully in English, which provides an excellent opportunity to enhance your international expertise. Most of these programs are designed jointly by ITMO University and its partner universities, so the students acquire a double degree within one program. Double degree Master’s programs are designed to deliver specialized knowledge and research experience in an international environment. Through immersive learning and collaboration with leading scientists and experts, students get the necessary knowledge and skills to become future leaders in their fields. Most Double degree programs take two years, with one year at ITMO and the other year at a partner university. A broad range of potential employment opportunities with global companies, agencies, and organizations anywhere in the world. Advance your career, get fluent in English and experience a new culture all while investing in your future! If you have already chosen your Master's program and would like to apply, please click on the "Apply Now" button and fill out the form. If you have any questions to ask our international office, please use the "Ask a Question" button and we will get back to you soon. Annual Tuition Fee: 214,000 rubles for Russian students, 234,000 rubles for international students. Annual Tuition Fee: 242,000 rubles for Russian students, 262,000 rubles for international students (the fee noted is for the first year at ITMO, the fee for the second year will be set by the Partner University). 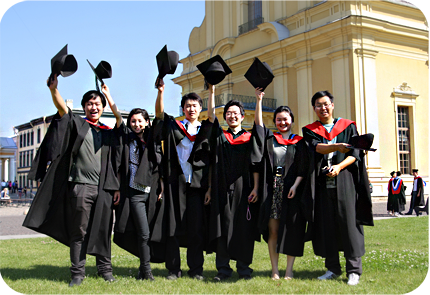 Outcome (diploma or credits): Master of Science (ITMO University), Master of Science (Aalto University). Duration: 2 Years (120 credits), including 1-2 semesters at Aalto University. Admission Requirements: Bachelor's degree in design, media technology, engineering, and architecture or related fields with excellent academic performance; upper-intermediate level of English; CV and/or portfolio and motivation letter.